Baseball game cancelled today. 7th and 8th graders will have baseball practice during PE time today. 9-12 will have practice at 3:00. Our Varsity Boys basketball team will put on a basketball scrimmage and demonstration at St. Elizabeth tomorrow at 2:00. Boys will need to wear their uniforms. We are excited that St. Elizabeth invited our team to showcase their talents! To be considered fully registered we must have the signed contract with your check. You should have received registration through an email. You may also go on RenWeb under Resource Documents and print out contract or you may go to the website leeacademycolts.org and print out. You have till March 30th to register for school year 2018/19. 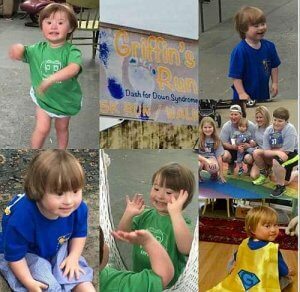 Our March Service Project is the 5th annual Griffin's Run - Dash For Down Syndrome. Please bring cases of bottled water to school to donate for race day. Also, we will sponsor blue jean Day March 9 & 23. 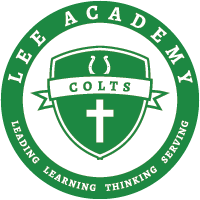 Bring $1 and wear blue jeans and your favorite Lee Academy T-shirt. The Race is March 24. Registration forms are in the office. CARES needs help at their annual Fish Fry Fundraiser held on Juke Joint Weekend. The Fish Fry is on Thursday, April 12. There will be two, 1.5 hour shifts. Please stop by the office to sign-up! Seniors planning to enter a profession dealing with children see Mrs. Antici for the JA Scholarship application. All 10th and 11th graders turn in your ACT money by the end of the day today.